Paul Krugman is an editorial writer for the New York Times and a winner of the Nobel prize in economics. Yet more than any other economist in the country, he routinely discredits the very profession that has honored him. Krugman says that Obamacare actually works. He also thinks the entire health care system would work better if government paid all our medical bills. In making these claims, he writes the way a non-economist would. Wherever there are people who think health policy problems can be solved without any knowledge of economics, Krugman is there to give them aid and comfort – week after week, month after month. 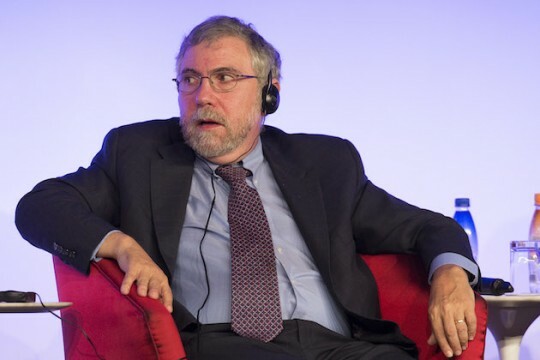 Here is a reader alert for some of Krugman’s most egregious errors. Institutions. As any decent introductory economics textbook should explain, institutions matter. There is a reason why Federal Express is different from the US Postal Service and why, in an effort to survive, the latter is trying to become more like the former. In arguing for a government monopoly in the provision of medical care, Krugman used to point to the VA system as the ideal. These days he is following in Bernie Sanders footsteps, pushing Medicare for all. At other times, he seems to imply that Medicaid for all would do just as well. Apparently, he hasn’t discovered the Indian Health Service yet. I'm going on 63, and over the course of my life I have NEVER needed the services of an engineer, lawyer, or architect. I did use a bookkeeper (not an accountant) several times a year for 5 years when I had a business. That said, how many times do you think someone my age, or someone any age has needed to see a doc? We no longer live in societies where the social "safety net" consists of our immediate family and community. We all work and pay taxes, and therefore should have access to basic services like healthcare, and healthcare should not just be for the rich, like the man writing his criticism of PK.